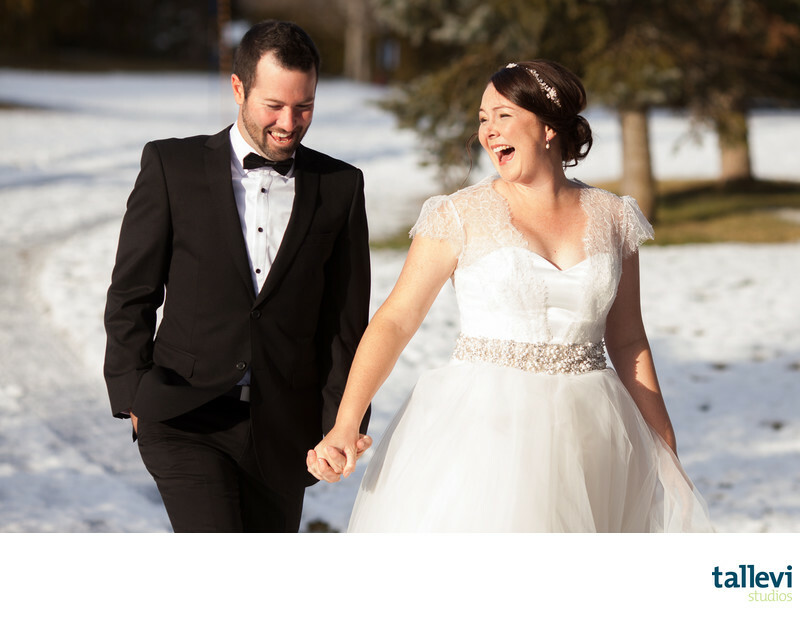 Making sure you have fun during your wedding (and your wedding photos) is my top priority! These two travelled all the way from Australia to get married in Whistler. They had worked a season here a few years prior and wanted to share their love for Whistler with their closest family and friends. As photographers themselves, I was delighted to be asked to photograph their Whistler wedding. The intimate ceremony took place in the living room of a beautiful log home they'd rented for the week. As the groom was reading his vows, the bride started to giggle. Everyone was a little confused since the vows weren't funny - they were incredibly heart-felt and sincere. It turns out they'd both turned to the internet to help write their vows and just as fate would have it, they had both picked the exact same vows! And they had to go several pages down in their search to find these so it's not like they both picked the first ones they'd found. It was confirmation that they both felt the same about each other and their expectations for marriage. After the ceremony, everyone headed over to Nita Lake Lodge where the library was set up to host the intimate gathering for an unforgettable dinner. I'm always excited to photograph weddings at Nita Lake Lodge as they're the perfect wedding hosts. Location: 8080 Nicklaus N Blvd, Whistler, BC V0N 1B0. Keywords: Nicklaus North (6), Nita Lake Lodge (507), Sea to Sky Celebrations (582), wedding (1602), Whistler (942), winter (261).